In the last year, Stern College for Women senior Yael Roberts has mailed 792 postcards and 144 letters. The answers to those questions, as well as the many modes of communication Roberts used to ask them, form the heart of “Correspondences,” her first solo exhibition, which will run from January 15-21 at Blackburn 20 | 20, 323 West 39th Street, New York, NY. The exhibition is an installment of nine lithographic portraits created from postal art and based on the letters and diaries of historical figures as well as Roberts’ own correspondences with friends, artists, writers and even her own internal dialogue. Her work also focuses on the relationships between four artists and their muses in the 19th and 20th centuries: Lewis Carroll and Alice Liddell, Dante Gabriel Rossetti and Elizabeth Siddal, Georgia O’Keeffe and Alfred Stieglitz, and Frida Kahlo and Diego Rivera. For Roberts, an English literature major with a minor in studio art, the project was partly about building a framework of modern creative history. “I’ve constructed a way that I think society has existed for the past 200 years creatively, and I wanted to show how these four couples were examples of societal shifts and also how they talked about those shifts themselves in their writing and art—how they articulated the relationship between artist and muse, the self and the other,” she said. If Roberts’ work sounds like a hybrid of literary research paper and the visual arts, that’s because it is. She traces the original idea for “Correspondences” back to two separate projects in her junior year. 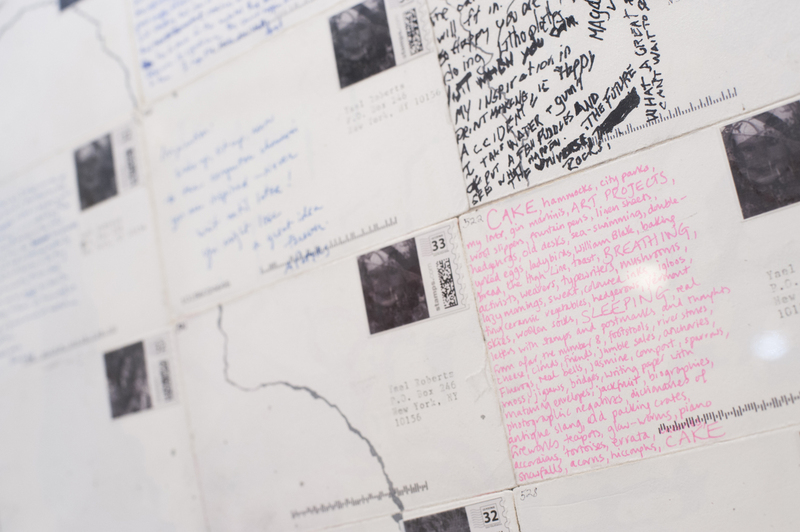 The first, her final project for “Principles of Design” with Associate Professor and Chair of Studio Art Traci Tullius, found her illustrating Roland Barthes’ post-modern essay “Death of the Author” with self-made stamps of deceased women writers. In fall 2011 Dr. Linda Shires, David and Ruth Gottesman Professor of English and Chair of the English Department at Stern, nominated Roberts to apply for the Henry Kressel Research Scholarship, which offers students the unique opportunity to craft a year-long intensive research project under the direct supervision of University faculty. In Shires’ class, Roberts had already been exploring the differences in the way Victorian and Modern writers viewed concepts like the right and left brain, the self and the other, and the public and private spheres. As she wrote her proposal for her Kressel research, Roberts suddenly thought of integrating her work in both classes. Over the next year, Roberts delved through archives around the city, studying the handwriting, research and diaries of the figures she had chosen and creating their portraits. At the same time, she embarked on her experiment: mailing out postcards and letters to friends and strangers alike to gauge how people communicated in the 21st century, and why. Along the way, she made an interesting discovery. By the time Roberts completed her Kressel scholarship in 2013, she had created an entire body of work and wanted to share it with the world. But she needed funding. So she turned to Kickstarter, where a successful campaign financed by friends, mentors and other supporters primed Roberts for her first solo showing. Mary Creede, an instructor in art at Stern College whose company has worked on sets for Broadway productions, helped her with the logistics of installing the exhibition. 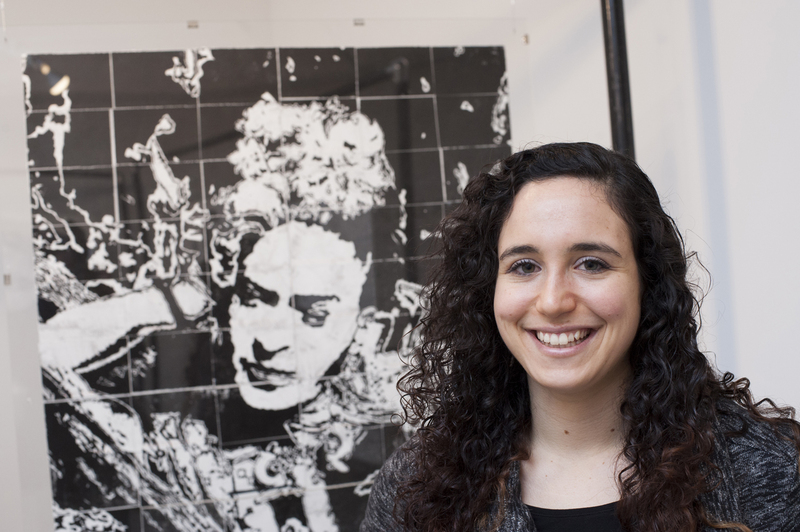 The close-knit environment at Stern has been critical throughout her college years. “Having such small classes enabled me to form strong relationships with my professors and I was also able to get involved in great extracurriculars,” said Roberts, who applied to Stern early admissions and is co-captain of its soccer team and a member of the S. Daniel Abraham Honors Program, in addition to regularly contributing to both The YU Commentator and The YU Observer. As her exhibition opens this week, Roberts hopes viewers walk away from “Correspondences” with as many questions about our society and the way we communicate as she had going into it. “I think that’s one way my Judaism has influenced me as an artist—being Jewish makes me very interested in text, but I also think that as Jews, we’re always trying to ask more questions to learn even more,” she said. 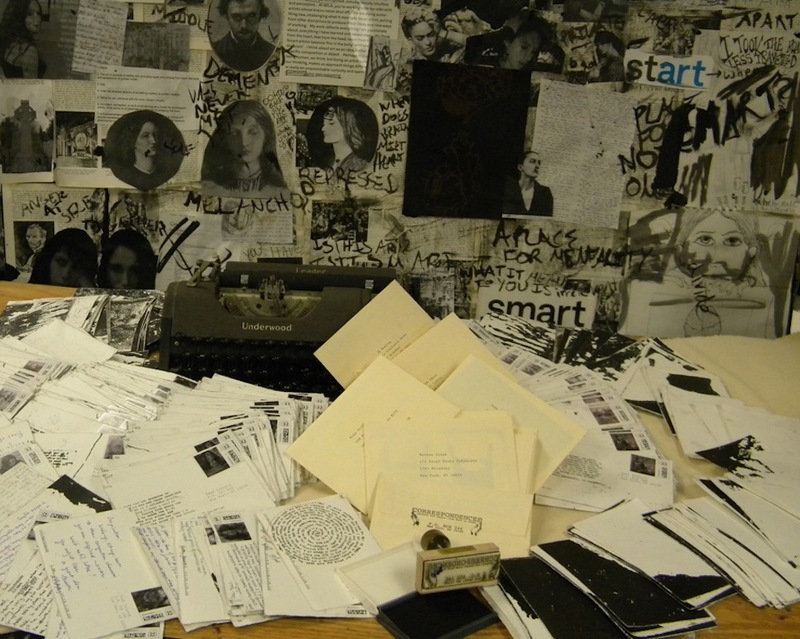 Yael Roberts’ exhibition, “Correspondences,” will be on display from January 15-January 21 at Blackburn 20 | 20. For gallery hours, click here.